If I could give 100 Stars I would! Paul and his crew were beyond amazing from start to finish. Even after the job was completed he came back right away when someone caused damage to my brand new driveway. Our home previously had a gravel and dirt driveway. I needed commercial grade asphalt to withstand 30 ton truck deliveries for my horses. I was blown away with the quality and attention to detail. 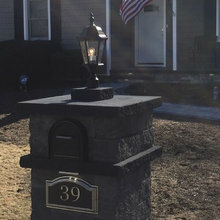 10" RCA, 2" #7 Asphalt, 2" binder, cultured stone stoop and light pillar, designed apron (no charge! ), paving stone back patio and walkways, belgium block edging. Trustworthy and stands by his work. Hi Vicky...Thank you so much, it was our pleasure...! 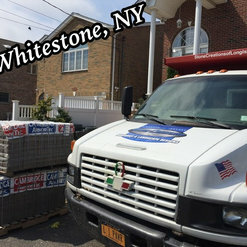 I've used Stone Creations of Long Island for several home improvement projects. Each time the work was of exceptional quality. I researched many companies and received numerous estimates before choosing them. I'm so glad I did! From start to finish each job was flawless. The attention to detail is superb. I received easy to understand estimates for each job which were always accurate, excellent communication throughout, always ensuring I was happy with the work each step of the way. The crew was early, made sure the site was clean and safe at the end of each day and exhibited a high level of professionalism. I was especially impressed with the gorgeous quality of the work. Paul has a real artistic talent. He was on site, knows his craft inside and out, made recommendations for beautiful designs within my budget and treated my home as if I were family. Can't wait for the next project, hopefully a pool! Thank you Romina, House looks beautiful. Wishing many years of enjoyment for you and your family.....From all of us, Thank you!!!!!!!!!!!!! 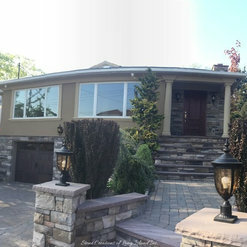 Stone Creations of Long Island Pavers and Masonry (Paul Saladino) We hired Paul for our driveway project after seeing him and his staff complete a job in our neighborhood. We were impressed by his pleasant manner, and about his extensive knowledge of all facets of masonry. Above all he was clear as to the vision we had for our project. Throughout the process his experienced staff was always professional, worked diligently with attention to detail. Paul supervised the project and was in constant communication re: deadlines, problems, etc. When we encountered a problem with our limestone, he was quick to troubleshoot for the solution. 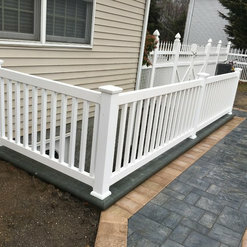 He was extremely pleasant to work with and always seemed eager to deliver a finished product which would exceed our expectations. (Which it did!) 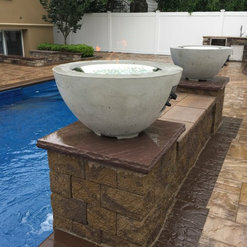 We highly recommend Paul ( Stone Creations of Long Island) without any reservations. Paul and the entire team are wonderful people. It shows in the way they treat clients and colleagues alike. The work that comes from the Stone Creations team speaks for itself. 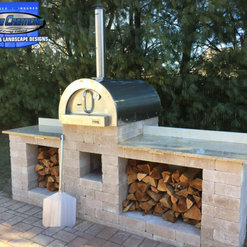 There is no shortage of talent or creativity when it comes to stonework, tile work and hardscaping. 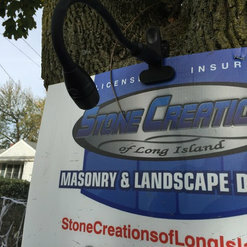 I'm proud to know and follow the team- and I highly recommend Stone Creations of Long Island! 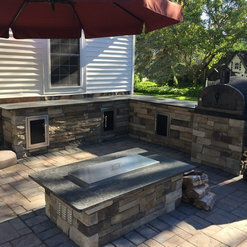 I hired Paul to do a backyard renovation. Him and his crew were very reliable & very professional. Paul answered all our questions and made us feel very comfortable. They did outstanding work for a very reasonable price! 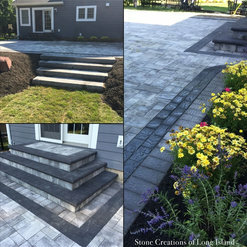 I would highly recommend Stone Creations Of Long Island and look forward to using them in the future. This is a company to use for years to come. 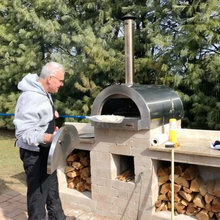 I highly recommend Paul and his staff for any outdoor living needs. Paul's vision and attention to detail will far exceed your expectations. 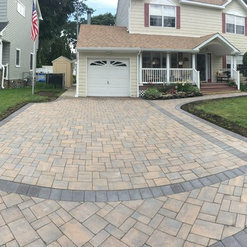 From design all the way on through to completion rest assured you are being delivered nothing but the best in quality and service!!! Gave an accurate and detailed estimate with a completion date. Also pointed out some possible problem areas that could lead to an up charge. 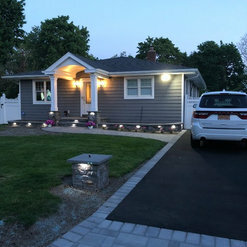 As the project was on its was it turned out that they were able to work around the issue and there was no need for the up charge which I was happy with. They actually finished 2 days before hand! Paul came on time as promised with a professional attitude and was always quick to answer and explain any questions I had or concerns. Wish I could say the same with some of the other companies I have dealt with in the past. I can not say enough about Stone Creations work. I look forward to their pictures to see what they are working on now. I would definitely have them do any hardscape project I have. You can see from Paul's work how he is in every detail of the project. There are only a few companies that I would ever recommend, Paul and his crew is one of them! You can tell he loves what he does. 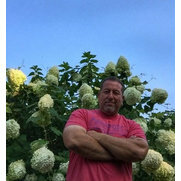 Give him a call for your next project in Long Island. 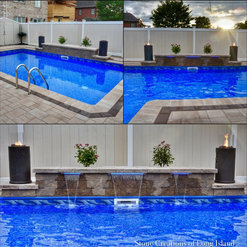 I highly recommend Stone Creations of Long Island. From the unique designs they create to the work that they install is top quality. 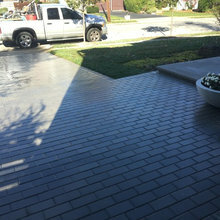 They present themselves in the most professional manner and are a leader in the hardscape industry. Paul and his crew did an outstanding job with my patio. I Have an old Nassau brick patio that was definitely in need of some attention, and there was also a garden area that was seeping water into my basement. I shopped around and got a few quotes only to have other contractors try and tell me the whole patio would have to be ripped up and new brick put down. My wife and I really wanted to keep the home looking rustic. 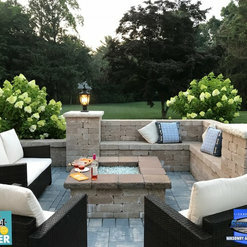 Paul was able to come in and reuse some of my existing Nassau brick, take care of my water problem and make the patio look original to the house. Paul and his crew were very professional and efficient. I would highly recommend him for any masonry job new or old, and his price was right on also. No over charging or unexpected costs. Commented: cedar shiplap in theater AlabamaLove it! !